International cricket’s oldest rivalry is all set to resume tomorrow with the first leg of back-to-back Ashes series commencing at Trent Bridge. A well-oiled English unit will take on an Australian team which is, for a change, widely regarded as the out-and-out underdog this summer. 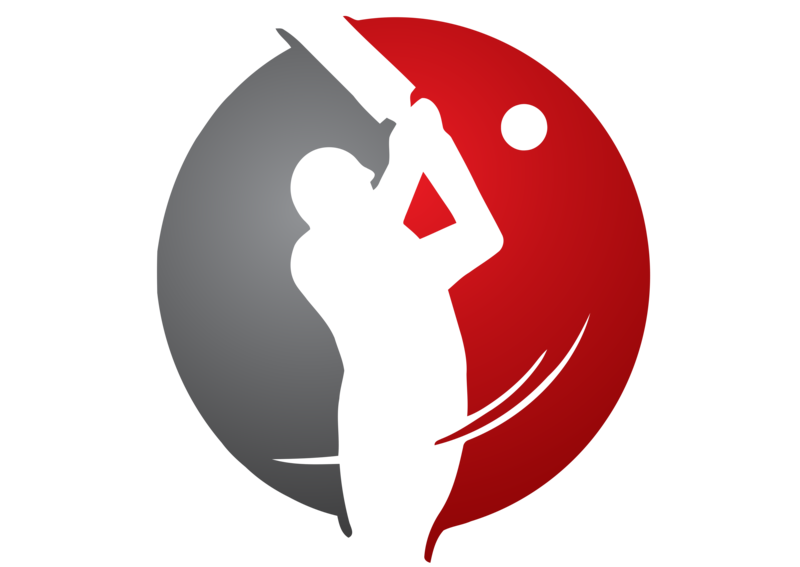 But as Ashes series over the years have shown, rarely has either team given even an inch away, and this is what makes this epic battle a great experience for connoisseurs throughout the cricketing world. The Ashes has thankfully maintained its tradition of a five-Test series, unlike many other match-ups which are often played in ridiculous two-Test affairs. Trent Bridge at Nottingham will host the series opener from July 10-14, followed by the Lord’s Test from July 18-22. Battle will resume with two more back-to-back Tests – the third Test at Old Trafford in Manchester from August 1-5 and the fourth Test at the Riverside Ground in Chester-le-Street from August 9-13. As has traditionally been, The final Test will be contested at the Oval from August 21-25. Chester-le-Street will be hosting its first Ashes Test, and England have won all four Tests played there till date. However, the hosts have won just four out of 20 Ashes Tests at Trent Bridge, and have won only once at Lord’s in the last 79 years (in 2009). The Oval is the most significant venue in the country, as it hosted the first Test in English soil in 1880 and it was here that the Ashes were born in 1882. The rich history of Anglo-Australian cricket can be underlined by the fact that the two teams have played each other a record 326 times since 1876-77, with Australia having won 133 times to England’s 102 Tests, 91 games being drawn. Out of these 326 contests, 311 have been Ashes Tests. Australia have played England in England 156 times since the inception of the game, having a narrow edge with 47 wins to England’s 45, 64 games being drawn. 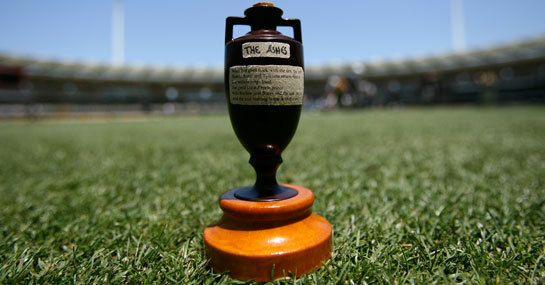 There have been a total of 66 Ashes series played – Australia winning 31, England 30 and 5 draws. The most recent Ashes were contested in Australia in 2010-11, when England won 3-1 to record their first series win Down Under in 24 years. The last time the Ashes were played in England was in 2009, when England won 2-1. Australia’s last Ashes series victory came at home in 2006-07, when they whitewashed England 5-0, while their last series win in England was in 2001, when they beat the hosts 4-1. England put the record straight by achieving a 2-0 win at in a two-Test series at home against New Zealand in May, two months after being held to a 0-0 draw by the Black Caps in the three-Test series away in March. Last summer’s disappointment of losing the three-Test series at home 0-2 to South Africa was balanced out with a historic 2-1 win in the four-Test series in India in the winter – England’s first series win in India in 28 years. Currently, England are ranked 3rd in the Test rankings, four points behind 2nd-placed India and seven points clear of 4th-placed Australia. Australia’s most recent Test series was a disaster, as they were routed 0-4 in India in March. However, they were impressive in their home summer, blanking Sri Lanka 3-0 and dominating the first two Tests of a three-Test series against champions South Africa, eventually losing 0-1. England have won six and lost two of their last 10 home Tests, while Australia have won three and lost five of their last 10 away Tests. The captains of the two teams are also the pillars of their respective batting orders. Captaincy has enhanced Alastair Cook’s batting, as he proved with three hundreds in the historic series win in India last winter. He now has more centuries than any other Englishman ever had, and the 28 year-old has surely a lot more to offer in his career. In the 2010-11 Ashes, he had logged an amazing 766 runs. He is composed as captain, and reads the game very well. Of late he has been criticised for being defensive in his tactics during the New Zealand tour, but what matters is that his leadership style brings a sense of solidity and reliability in the team, which is of utmost importance before the Ashes. 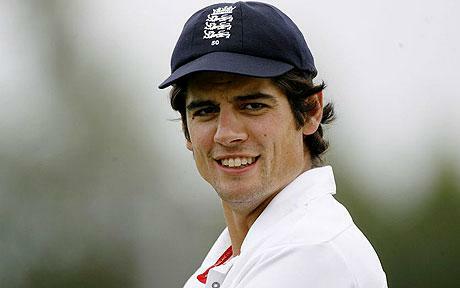 He is certainly the best bet to lead the English Test side at the moment and in the coming future. Cook’s opposite number Michael Clarke is more of an attacking leader, as he showed during last year’s West Indies’ tour and also in the home series against South Africa. However, the lack of potential match-winners in the team coupled with his own recurring back problem means that very few are giving Australia a chance to upset England in the Ashes. Clarke has developed himself into someone the team respects, and his contribution with the bat will have a great impact on Australia’s performances, for just like Cook, he too has been in great form with the bat since becoming captain, having scored four double-hundreds in 2012 alone. If he gets the support of a few of his fellow batsmen, then we are in for a closer Ashes series than is expected to be. The mercurial Kevin Pietersen is back in the team after an injury and is probably the biggest threat to Australia. When on song, Pietersen can massacre the best of bowling attacks. Just last year, he scored three fantastic centuries, one each against Sri Lanka, South Africa and India to underline his status as one of the most feared batsmen in international cricket. He was a major factor in England’s 2005 triumph, where he had a memorable debut series, culminating in a knock of 158 at the Oval which helped England to win the series. His career best of 227 has also come against the Aussies, at Adelaide in 2010-11. If there is one man whose back Australia will be glad to see as early as possible, it is Pietersen. If there is one area where Australia can rival, or even better England, is the fast bowling department. The leader of the pack will be young James Pattinson, who has taken 40 wickets in his ten-Test career so far, and was among the very few who held his own during the disastrous Indian tour. He is capable of extracting bounce from not-so-helpful surfaces while maintaining good speed, and if fit, can be a potent weapon for Australia throughout the Ashes. It is a bit surprising to me that many people are writing off Australia even before the first ball has been bowled. England surely start favourites, but not overwhelmingly. 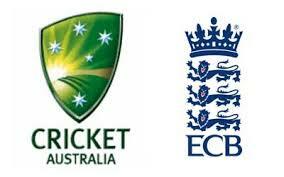 Having said that, my prediction for this Ashes series is a 2-1, or weather permitting, 3-1 victory for England.